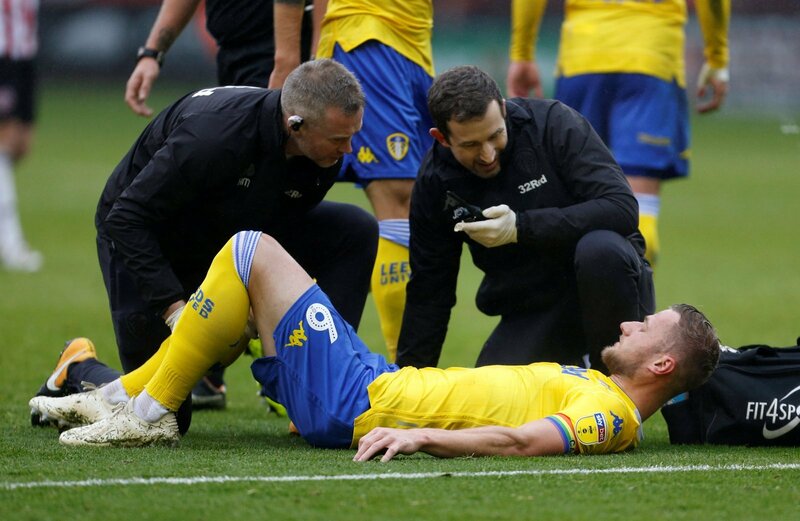 Leeds United have still not discovered the extent of Liam Cooper’s injury, although Marcelo Bielsa is preparing to do without his skipper for Saturday’s game against QPR. The centre-back was forced off just 20 minutes into the game at Bramall Lane last weekend after injuring his knee. Worryingly for the Whites, nobody was near Cooper as he fell to the floor and he hobbled off looking in some serious pain. After the game, Bielsa confirmed that the defender had suffered an ‘important’ injury. And, the Yorkshire Evening Post has revealed that Cooper has been sent for further tests to determine the damage to his knee. The report also states that the 27-year-old is not going to be involved this weekend, although that won’t come as a surprise to many. In Cooper’s absence, Bielsa is likely to turn to youngster Aapo Halme. The Finland U21 international came on against Sheffield United and did very well as the visitors kept a clean sheet in a 1-0 win. However, the length of the setback to the captain could see Leeds turn to the market in January to give Bielsa more options defensively. After seeing Cooper go off injured in the way he did everyone connected to Leeds will have feared the worst, and missing Saturday seemed inevitable. That fear of a long lay-off will still be a worry and it appears new information will come out in the coming days as Cooper visits more specialists. It still doesn’t sound good and Bielsa could be looking at central defenders as the window approaches. Thoughts, Leeds fans? Let us know in the comments below.